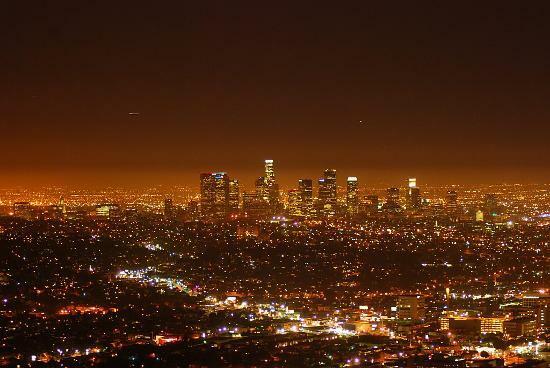 The Staples Center Los Angeles is a great California Vacation idea for the family or a romantic time away. See a Lakers Game or a LA Kings Game, or maybe even a concert! The Staples Center is a world class venue where you can enjoy a Lakers game, hockey game, concert or other event. The Grammy's are held here each year and it is the home to basketball teams, the LA Lakers, the LA Clippers and the LA Sparks, and the hockey team, the Los Angeles Kings. 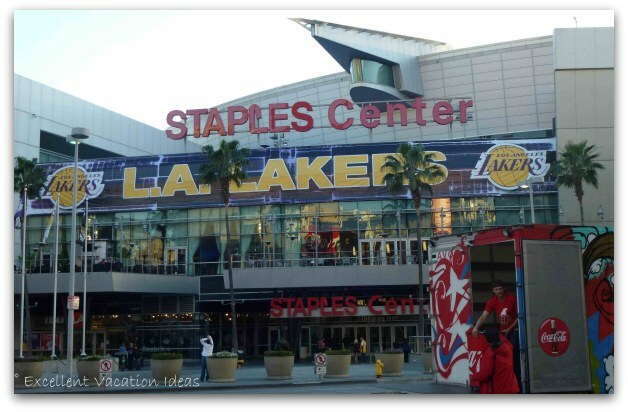 If you are visiting Los Angeles and are a sports fan then make sure you plan a visit to the Staples Center for a basketball or hockey game! There are plenty of concession stands selling the usual popcorn, hot dogs, candy and drinks, or you can even find sushi (it it is pretty good!). However with all event type places, prices can be quite high. 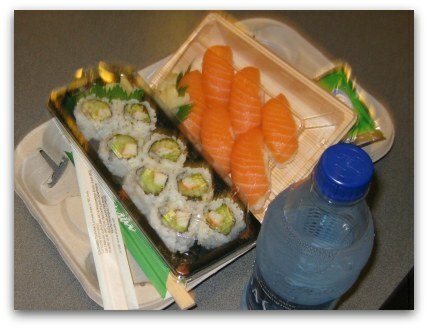 It was $6.50 for a bottomless bucket of popcorn, or about $20 for sushi like you see here. If you prefer a restaurant type meal, there is the Fox Sports and Grill. It opens at the Staples Center during events. For faster food ideas, look for the California Pizza Kitchen concession stand near Section 109 on the main concourse or a McDonald's near section 114. 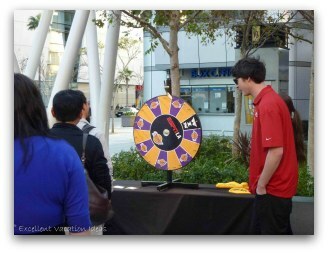 Get to your event early and you will also find all sorts of fun things to do, like pretend to spin a ball on a virtual screen like the Globe Trotters, or see the history of the LA Lakers. Don't forget to take home a souvenir from your visit to the Staples Center. You can buy Laker's paraphernalia at the game, everything from T-shirts to foam fingers to jerseys. 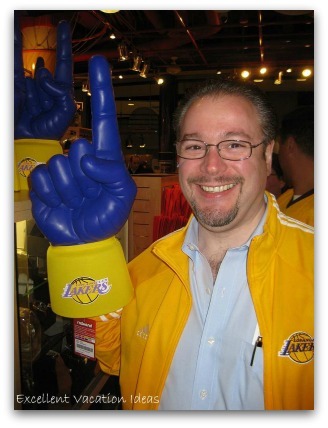 Warren was playing with a foam finger at one of the Lakers Games we went to. If you would like to have dinner before the game, near the Staples Center Los Angeles, there are a number of restaurants across the street in the Nokia Center. We had dinner at Wolfgang Puck as we knew it well from Las Vegas. I had some of the best Lasagna of my life there! Make sure you get there early though as it fills up quick and you may not get a table until AFTER the game starts. 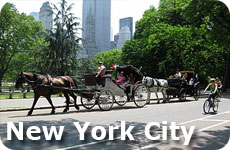 You will find other restaurants as well, like ESPN Zone, Rock'n Fish, Katsuya, Lawry's Carvery, Starbucks, or Trader Vics. Make sure you get there early or even better try to make a reservation before you get there! If you have an early dinner, you can hang out in the Nokia Center plaza area. One year around Christmas we were there and they had a skating ring. Recently they had a beer tent, a Coke tent, a place to spin to win a Lakers T-shirt, a live ESPN broadcast and a chance to meet and get photos with a few of the Lakers Girls. Los Angeles is known for it's horrible traffic. This usually means that parking can be quite bad as well. We were concerned before we went to our first game about parking and didn't want the hassle of trying to find somewhere to park. Warren went online and prepaid for our parking at a lot about a 7 minute walk from the Staples Center. It was a great place as it was close and easy to get on the highway from. We paid $20 plus a service charge. We highly recommend doing your parking this way as it was easy, but it was expensive. You could try to park close to the arena, but it won't be much less. The Staples Center has over 3,300 parking spots and there are over 16,000 spaces available within a 7 - 10 minute walk. You can also park in the convention center next door. If you prefer to take Public Transportation then you can take the Metrolink or the Metro Rail. The Pico Station is only a 2 minute walk from the stadium. 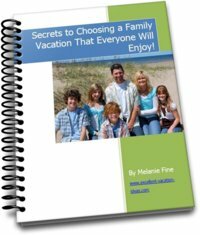 Depending on what type of experience you want to have, and what your budget is, there are ticket prices for everyone. If you are visiting in a year where the Lakers are doing well, then you can expect to pay a lot more for tickets. If you are in a year like the 2011/2012 season, where the season was cut short and the Lakers didn't win the championship the previous year, tickets will be easier to get and less expensive. Seating Chart from TicketsNow.com . 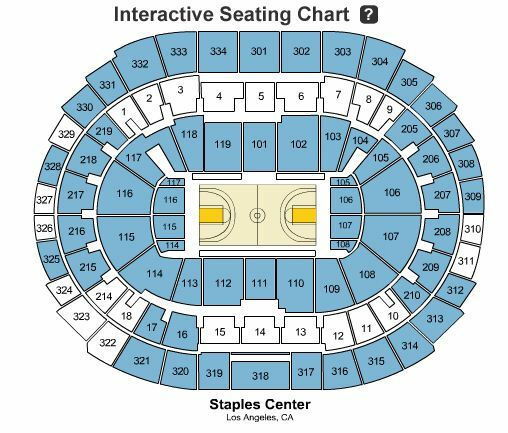 We have sat in section 119, 110, and 101 which were all great seats at the Staples Center Los Angeles. I think that the 300's may be a little far but in between segments of the game they show people having a real party up there! 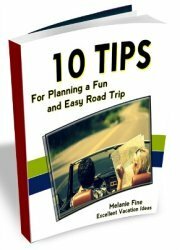 Check out some excellent vacation ideas for a romantic California vacation. 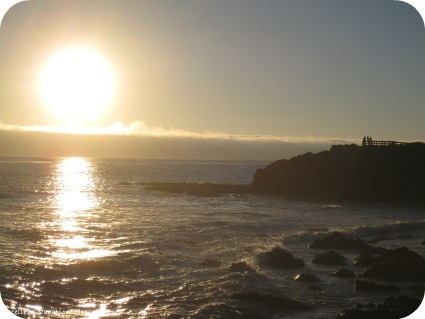 From Northern California to San Diego, we have some great ideas for you!